InSanity lurks Inside: Universal Orlando Rumor Alert- A THIRD Park or is this a Wizarding World Expansion? Universal Orlando Rumor Alert- A THIRD Park or is this a Wizarding World Expansion? GOOD NEWS- Universal is attempting and hopefully planning (at some point) to add in Fantastic Beasts to the current Wizarding World line-up. This leaves a tricky question- Where can they put it? Rumors have been flying for years over Universal Orlando building a third theme park ever since the Islands of Adventure opening in 2000 and the company became serious competition for the tourist market in Orlando. 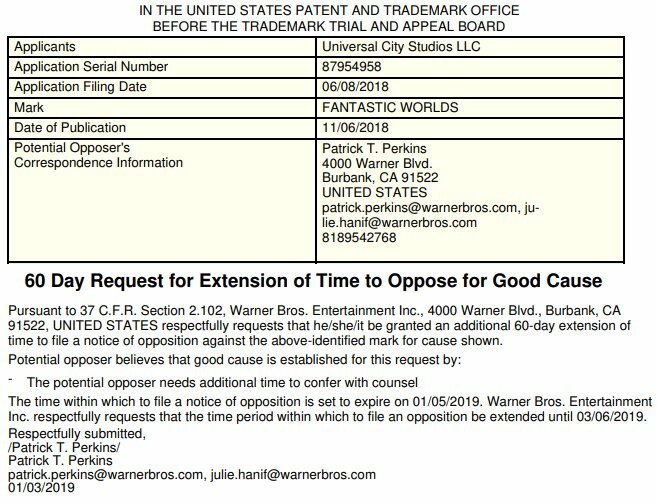 Today, that rumor went wild yet again as a new document was leaked on twitter from Park Rumors, showing that Universal is trying to trademark a new name- Fantastic Worlds. This seems to lend its-self to yet another Wizarding World expansion, themed off the successful 'Fantastic Beasts' movie series. While this mentions no hint of a third gate, we can easily guess that Fantastic Beasts will be making a prime appearance at some point to the current Wizarding World. Although it's nothing but rumor and speculation, the gossip has once again has sprung up from the depths to circle about the possibility of a third theme park under the Universal Orlando flag. The catch is this- They have little space left to expand on the current resort. While Universal does own several parcels of land around the tourist mecca of International Drive in Orlando, there is no space left that is directly attached to the current resort space. Everything is separated by state highways or other parcels owned by various companies. There is a chance that Universal already owns some of this property which surrounds it and is allowing current tenets to lease it, we have no conformation about this. Universal Orlando is sandwiched between a state highway on one side, a large (and expensive) community, and prime tourist land on the others. So while the rumor this expansion being located inside in a new theme park is good, it leaves us with more questions than answers.